In a recent study, researchers find that radiofrequency electromagnetic fields may harm the development of memory performance of specific brain regions. The rapid evolution of information and communication technologies (ICT) goes along with an increase in exposure to radiofrequency electromagnetic fields (RF-EMF) in daily life. The most relevant exposure source to the brain is the use of a mobile phone close to the head. Previous research has tried to identify potential health effects related to RF-EMF, though results have remained inconclusive. In the current study, the researchers examined nearly 700 adolescents in Switzerland. They looked at the relationship between exposure to RF-EMF from wireless communication devices and memory performance in adolescents. 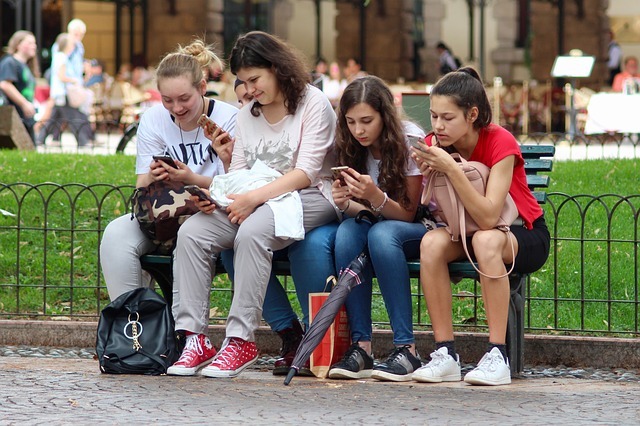 The study follows up a report published in 2015 with twice the sample size and more recent information on the absorption of RF-EMF in adolescents’ brains during different types of wireless communication device use. The researchers looked at the relationship between exposure to RF-EMF and development of memory performance of almost 700 adolescents over the course of one year. The teens in the study were 12 to 17 years old, and they were recruited from 7th to 9th public school grades in urban and rural areas of Swiss-German speaking Switzerland. The team found that cumulative RF-EMF brain exposure from mobile phone use over one year may have a bad effect on the figural memory in adolescents. Figural memory is mainly located in the right brain hemisphere and the link with RF-EMF was stronger in adolescents who use the mobile phone on the right side of the head. Other aspects of wireless communication use, such as sending text messages, playing games or browsing the Internet cause only marginal RF-EMF exposure to the brain and were not linked to memory performance. The team suggests that further research is needed to rule out the influence of other factors. The team also suggests that potential risks to the brain can be minimized by using headphones or the loud speaker while calling, in particular when network quality is low and the mobile phone is functioning at maximum power. The research is led by the Swiss Tropical and Public Health Institute (Swiss TPH). Lead researches is Martin Röösli, Head of Environmental Exposures and Health at Swiss TPH. The study is one of the world’s first epidemiological studies to estimate cumulative RF-EMF brain dose in adolescents. The finding is published in the peer-reviewed journal Environmental Health Perspectives. Journal reference: Foerster M., Thielens A., Joseph W., Eeftens M., Röösli M. (2018) A prospective cohort study of adolescents’ memory performance and individual brain dose of microwave radiation from wireless communication. Environmental Health Perspectives. Draft (to be published on Monday 23 July).